What Animals Live in the Mesopelagic Zone? What Lives in the Photic Zone? The pelagic zone within a lake or ocean includes all water that is not near the bottom, nor within the tidal zone of a shoreline, nor surrounding a coral reef. 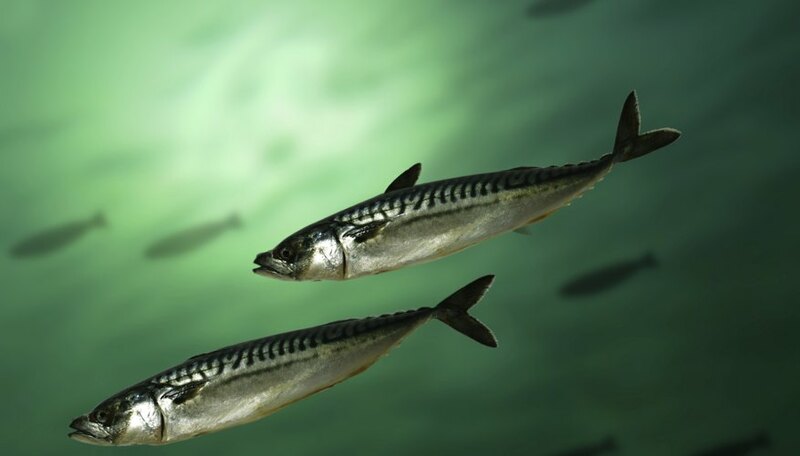 Pelagic fish spend the majority of their life cycle in the pelagic zone. Lists of marine pelagic fish species may be broken down into five subcategories based on the depth of water a species most commonly inhabits. These layers of water, in order of increasing depth, include the epipelagic, mesopelagic, bathypelagic, abyssopelagic and hadopelagic zones. The epipelagic layer of the ocean extends from the surface down to about 660 feet (200 meters). Light penetrating the water at this level allows the growth of plankton, algae and floating seaweed. Small foraging fish that feed off plankton are common in this zone, including herring, anchovy, scad, sprat, sardines, small mackerels and blue whiting. These foraging fish live in the coastal waters above the continental shelf. 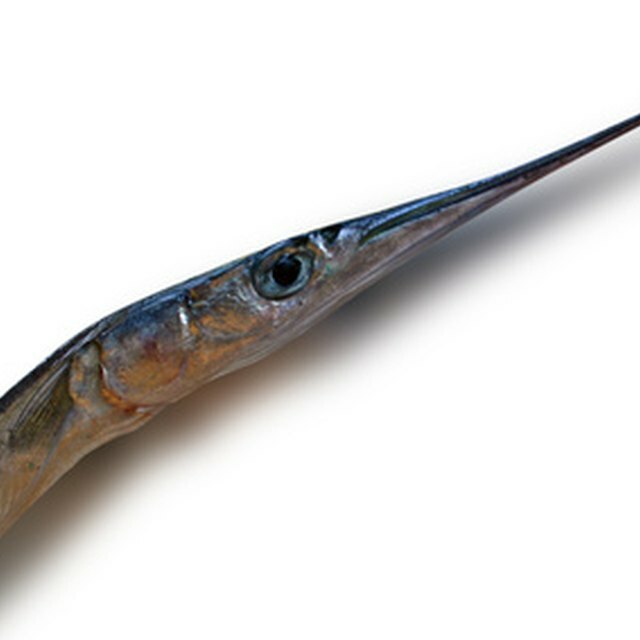 Larger coastal fish such as salmon, large mackerel, billfish and dolphinfish feed off the smaller fish. Apex predators such as tuna, large rays, bonita, pomfrets and ocean sharks are able to spend longer periods of time in the deeper waters beyond the continental shelf. A voracious predator of jellyfish, the immense ocean sunfish spends its entire life cycle in the open sea. The largest known epipelagic fish in the ocean, the giant whale shark, filter feeds on plankton. A limited amount of light is able to penetrate water at a depth of 660 ft (200 meters) down to about 3,300 feet (1,000 meters), but not enough for photosynthesis to occur. Plankton filter feeders in the mesopelagic layer of the ocean like the bioluminescent lanternfish, or small predators like the marine hatchetfish, ridgehead, barreleye and stoplight loosejaw, rise up to the epipelagic zone at night to feed. These smaller fish, along with squid, cuttlefish and krill, are eaten by mesopelagic predators like the blobfish, snake mackerel, sabertooth fish, longnose lancetfish and opah. Fish species in the bathypelagic layer, which is found 3,300 feet (1,000 meters) to 13,000 feet (4,000 meters) below the surface, are small predators who have evolved unusual adaptations to life in the pitch-black depths of the ocean. Bioluminescence is common in bathypelagic fish and is used to attract prey or a mate. The humpback anglerfish dangles a luminescent lure between its eyes, the deep sea dragonfish displays a glowing barbel attached to its chin, and the tail of the gulper eel comes equipped with a luminescent tip. The large jaws of the bristlemouth or fangtooth, hinged jaw of the viperfish and distensible stomach of the black swallower make it possible for these fish to eat other fish many times their size. The abyssopelagic, or lower midnight, layer of the ocean, 13,100 feet (4,000 meters) down to just above the ocean floor, and the hadopelagic zone, which is the deep water found in ocean trenches, are inhospitable areas for fish. Squid, echinoderms, jellyfish, sea cucumbers and some species of marine arthropods call these areas home. Bathypelagic visitors like the anglerfish, black swallower and viperfish generally only stop by for a quick meal before returning to the midnight zone. National Ocean Service: What Are Pelagic Fish? Emily Jacobson has been working in online media and publishing for more than two decades. Her articles have been featured on America Online and the Maxwell Institute. She specializes in articles related to science, health and nutrition. Jacobson holds a Bachelor of Science in food science and nutrition. What Type of Ocean Zone Do Eels Live In? Jacobson, Emily. "A List of Pelagic Fish." Sciencing, https://sciencing.com/list-pelagic-fish-6772945.html. 25 April 2017.